The administrative simplification portion of the HIPAA legislation was intended to modernize healthcare transactions by creating a uniform data exchange that could be implemented by all healthcare business partners. As a result, new EDI transaction standards like 837 (claims) and 835 (payments) were introduced. In addition to this, HIPAA also called for standardizing specific code sets in these transactions that were previously unique by health plan. Most of these changes were quickly adopted by healthcare business partners who were eager to find common ground. However, there have been a few significant exceptions. It took several years for health plans to give up their own unique codes used to identify healthcare providers and replace them with the standard NPI (National Provider Identifier). Now, NPI is used by all healthcare business partners for identifying providers electronically and this advancement alone has made systems using this data more efficient and easier to maintain. HIPAA included two other mandatory numeric ID code sets that were to replace any existing proprietary counterparts used for the same purpose. These two code sets are the Health Plan Identifier (HPID) and the National Patient Identifier (also NPI). Neither of these have been implemented, but for different reasons. In this article, we will review the current status of the HPID. The drafted HPID code set system designated that all health plans fell into categories, controlling health plans, small controlling health plans, and sub health plans. This lead to confusion about what these terms meant and which category was to be used by a specific health plan. The most compelling issue blocking the implementation of this code set was the fact that the payer ID system used then and today is universally accepted by healthcare business partners conducting transactions that require the numeric identification of health plans. This includes the major clearinghouse systems that process millions of insurance claims daily with the current health plan identifiers and the thousands of systems supplying claim data to these clearinghouses, using the same health plan ID codes. The efficiency of these systems, and the processing of revenue associated with these transactions, depends on the stability of this code set. The reason that the National Provider Identifier was implemented and the HPID was not, was because the existing provider identification system was unsustainable. There could be as many provider ID numbers for a specific physician as there were health plan business partners for the entities where he performed his services. There was no way to take provider ID number and look it up on a web site to find out who it belonged to because no one had access to these unique health plan master files. For health plans, the issue is not as complex. 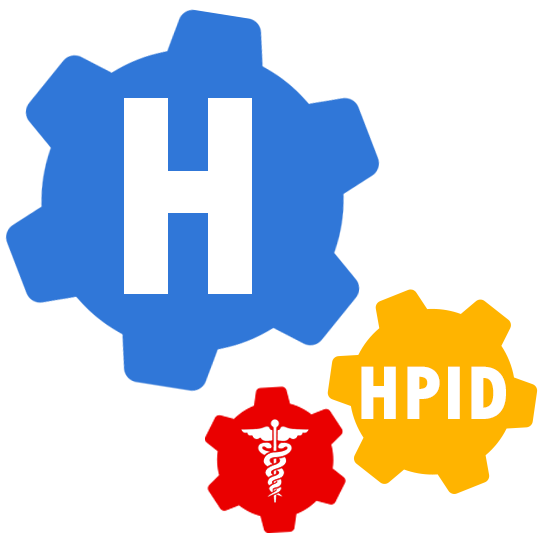 There are far fewer health plans than there are healthcare providers and other than simply identifying the entity associated with the code, the HPID does not need to serve any other purpose. It would have made more sense for HIPAA to adopt the current code set for health plan identification rather than create a new one that attempted to define the size of the health plan and how the health plan might be related to other health plans. Like the NPI, if you want to collect additional detail about the entity associated with the code, you can create your own database with the additional information and store it with the code as the index. All three of these code sets have the same purpose in common, they are intended to create a universally implemented numeric value for the same entity or person so that data can be exchanged referencing that entity in a uniform manner. The National Provider Identifier solved this problem for the industry when provider physicians and facilities needed to be identified consistently in transactions. For health plans, this problem does not exist. In this case, it appears that CMS reviewed the arguments provided by NCVHS in their letter and adjusted their policy based on these issues, choosing to abort the implementation of a new coding system that was redundant and less efficient than the existing standard. As a HIPAA transaction vendor, it is comforting to see these organizations review and modify their procedures after they have been legislated. It is easy for an organization to move forward blindly after a decision has been made. The good ones continue to review these decisions after they have been made and implemented to make sure that they provide the best results. Based on my interpretation of this announcement, I would not expect this code set to be introduced in the foreseeable future and that the existing codes used to reference health plans in HIPAA transactions will remain in effect.